I suppose I couldn’t keep it a secret forever….this little cyber world of mine. Somebody was bound to find it, innocently reading a letter and realising that the story is kind of similar to someone they know and getting the shock of your life when you realise the letters you’ve been reading, all correspond with what’s been happening in one of your best friends’ lives. So you did the decent thing and asked me if the letters were mine. And as we all know I’m a really, really bad liar…….so voila! One of my best friends has discovered my blog. Congratulations friendster! I’m not going to ask you to keep the blog and the substance of my letters a secret. It might sound crazy, but by now I know you well enough to realise that you respect and love me too much to divulge this delicious bit of information to the rest of the world. I realise that there is no need to ask you, because you would never expose my private thoughts to anybody else, unless I told you to. Over the past year you and your husband have become really good friends of mine. You were one of the firsts to know about the whole Jack situation. And yes, your squeals of delight were much appreciated. You’ve had to keep more than one secret on my behalf, and I applaud you on doing so without fail. I realise that as a friend I can sometimes be very harsh in giving advice and criticism. But you’ve always accepted it with a smile and tried to implement it in your life. Realising that it isn’t given in a hurtful manner, but simply because I love you and I want the best for you. If I had all day to write this letter I still wouldn’t have enough time to tell you just how special you are. I do however realise that not all my blogger friends would appreciate a letter as long as that, so I’ll end it simply by saying that you are an awesome friend. I pray that we will be friends for many years to come and that we’ll still have plenty of adventures to share. Awwe, there you go again, I always have to keep a stack of tissues near me when I read your blog! You are such a good mate! How is your daddy doing Rubes? 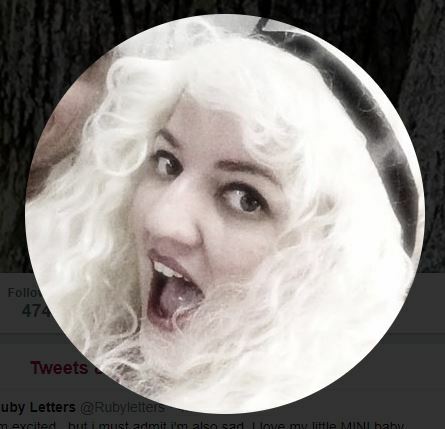 Hey ruby.Just catching up… I think it is awesome that you are so open with your mate that you don’t have too many reservations of them being able to view this other part of you…Hope all is well with your dad! Nats – tee hee hee….sos hun, it wasn’t a planned mushy letter tho…it just kinda happened;) Daddio is doing much better;) The four of them left for their holiday yesterday. I spoke to him last night, and apart from being very tired he sounded just fine. My mom recons he’s doing better everyday. He even did some of the driving yesterday…always a good sign.High – Hey dudy!!!! gosh, havent’ heard from you in a while!!!! yes well….she knows me very well…so her discovering really aint the end of the world:) As for daddy…see above. BTW….why on earth can i only see your latest post(which is really old btw) and i can’t leave comments, read comments, or see any other posts????? That’s so good to hear Rubes. I am so glad he is doing okay! Yay!!! Friendster is a stalker!Stalker Friendster!Erm, listen, why don’t you mosey on over to my blog huh? Lurk comment whichever, you’ll like me.Welcome to Ruby Letters. Sweet Rubz! !I must be honest… my blog is no secret, but there is only friend that actually reads it…Blondie 2 :-)I would find it weird if my mates had to read it, even though they know everything. Weird huh? I would feel shy! hahahah!!! hello ruby’s friend!! !i’m so glad she told you she found you, i have friends and family who read me- though mine was never really totally anonymous and i told my mom and sister about it quicklike coz i wanted someone to read me dammit!! !ahem…sorry.i believe you have a bone you’d like to pick? Now the ripple effect begins…your friends will find out…you’ll see! And they’ll comment…sometimes in absolutel shock…sometimes because you’ve overshared…or they may just roar with laughter & compliment you on your lovely writing skills!Sweet though :)On a completely different note…where the hell have you been & what’s happening with that hijacker dude…we want info & we want comments/ your opinions sweet cheeks…no fair! blondie – lol….well, only one of my mates have found it as yet……and she’s safe as a vault:)Angel – Thanx for the sweet welcome:) that is on my friend’s behalf anyway:) oh never mind, the bone aint very important:)KaB – I do believe I have now officially been admonished for absence….will try to do better promise. As mentioned before, my absence is not entirley jack’s fault…it’s also as a result of the fact that we cannot access blogger at work anymore…so i have to remember to bring my little modem to work….and somehow i always manage to forget…but i’m busy making a comeback, don’t you worry hun!